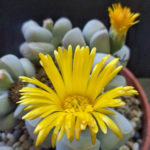 Lapidaria margaretae resembles those genera (Lithops, Dinteranthus and Schwantesia) within the Aizoaceae family to which it is most closely related. 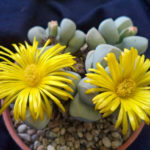 However, while Lithops and Dinteranthus will typically only have one pair of leaves, Lapidaria margaretae has two to four pairs of leaves. 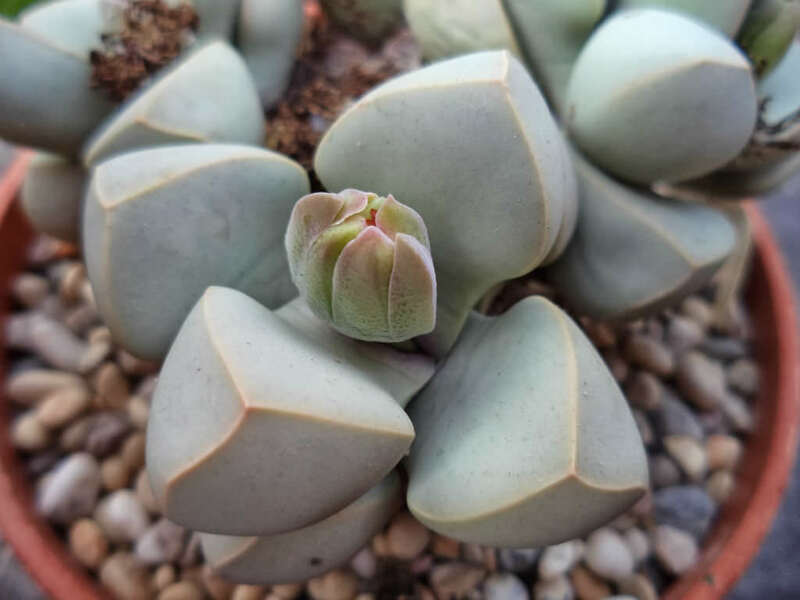 Each leaf is up to 0.8 inch (2 cm) long and up to 0.4 inch (1 cm) wide. 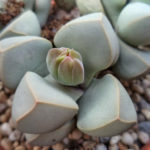 Clumps of up to three rosettes may be formed with age. 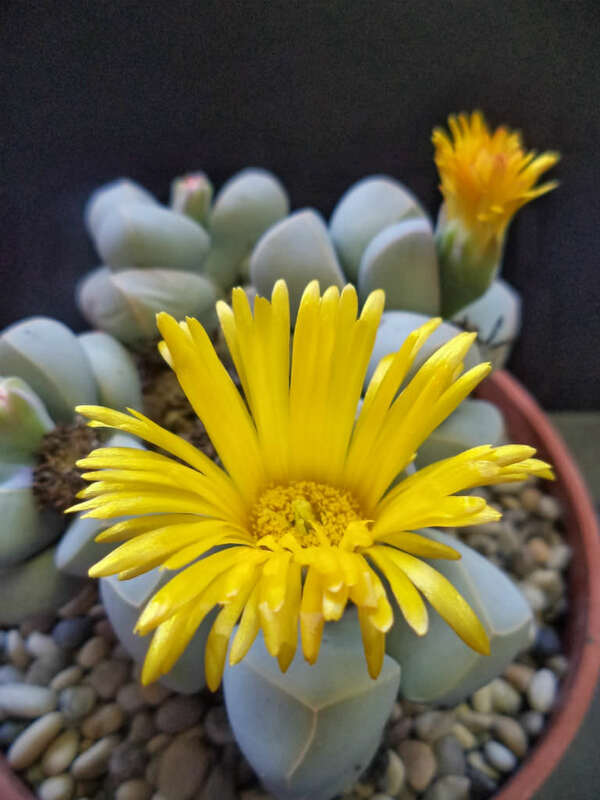 It flowers with a single up to 2 inches (5 cm) wide yellow flower that can eclipse the plant. It opens during the day. 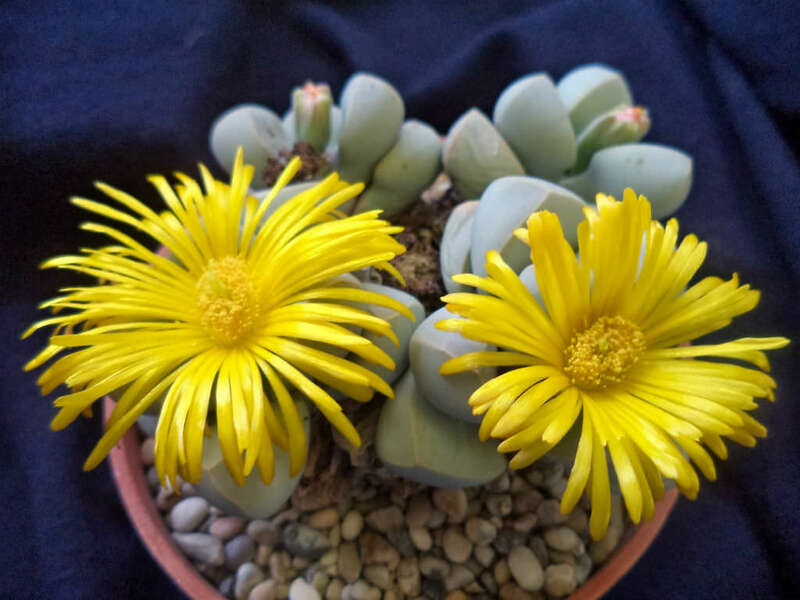 The flowering might be solitary, or succeeded by up to two others. 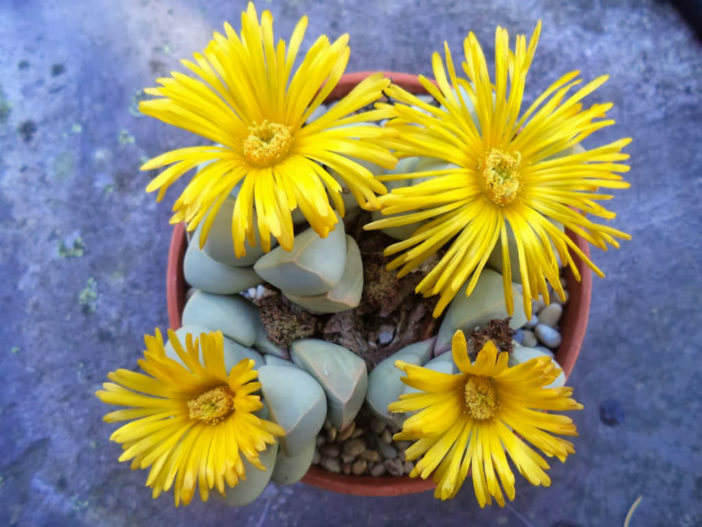 Native to dry areas in southern Namibia, around Warmbad and the Northern Cape areas adjacent to Warmbad in South Africa.